Irene Patti Swartz Hammond was born in Rochester, NY, the youngest of four children of Italian parents from Rome. Musical tradition is an important part of her heritage; her great aunt was Adelina Patti, internationally acclaimed opera star of the 19th century, and her uncle, Professor Salvatore Patti, was assistant conductor of the Rome Radio Symphony and one-time assistant of Pietro Mascagni, composer of Cavalleria Rusticana. Irene showed her talent at the age of 10 when she won a scholarship to the Eastman School of Music. She also studied and sang with her uncle in the late 50s in Rome at the Conservatorio di Santa Cecilia. On her return to the USA and Miami, she won the first four-year scholarship to the School of Music at the University of Miami. To commemorate this accomplishment, the University of Miami honored Irene by inviting her to be the Grand Marshal at their 2002 Commencement Ceremony. Irene studied with her teacher and mentor, the great Arturo di Filippi, founder and director of the original Miami Opera Company. She made her operatic debut with the Greater Miami Opera Company singing the lead in Marta with the Metropolitan stars. Soon after, she went on to compete in and win the Metropolitan Auditions of the Air. Irene then trained and sang at the Metropolitan Opera School and studied voice with the renowned tenor and teacher Paul Althouse. She auditioned for the Show of Shows to replace Marguerite Piazza and appeared on the show several times. One of the highlights of her life was being invited to sing at the President’s Inaugural Ball of 1973 in Washington, D.C.
After her return to Miami, she sang in countless productions of Grand Opera and in concerts with Paul Whiteman and Alfonso D’Artega. 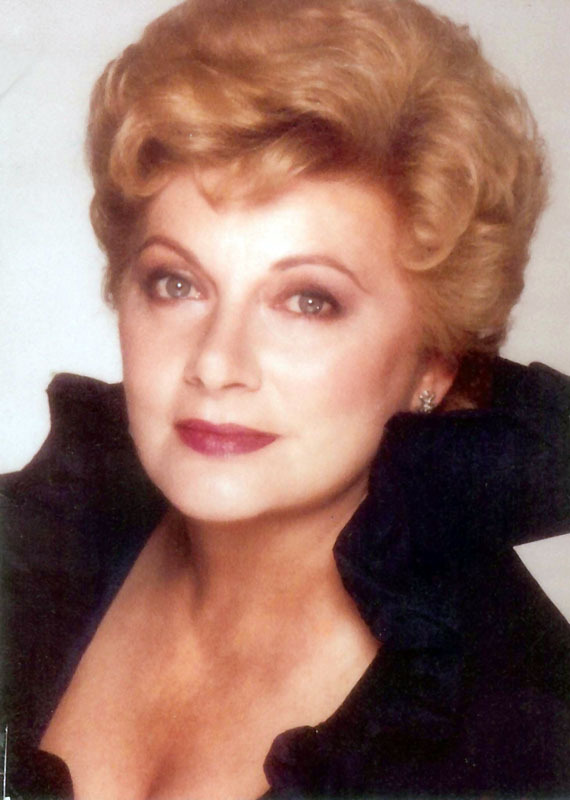 Irene’s favorite and most successful leading roles have been Santuzza in Cavalleria Rusticana, Mimì in La Bohème with Felippo de Stefano, Macaela in Carmen with Risë Stevens, and Aida with Franco Corelli. Irene was married to orthopedic surgeon, Dr. B. Boyce Swartz for 48 years and raised 3 children, Eileen, Thomas and Christopher. Several years after the passing of Dr. Swartz, Irene was blessed, yet again, with meeting another outstanding physician, Dr. Morton Hammond, to whom she is happily married today. In addition to pursuing a career and raising a family, Irene has also supported fund raising and charitable organizations such as Nova University, Theater Arts League, Project: New Born, Dade Association for Retarded Children, American Cancer Society, American Heart Association, Hospital Benefit Ball (chairman for 13 consecutive years) and Young Patronesses of the Opera where she founded the Voice Competition Scholarship Awards for promising young opera singers. Irene has been honored by a number of awards, a few of which are: The Golden Lady in opera, 10 Best Dressed Award by Miami Cancer Society, The 12 Outstanding Women Award by Miami City Ballet, and the Amita Award for women of achievement from around the world.